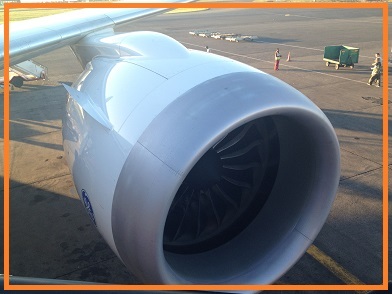 Something is just a liiitle bit off…? I was about to give up on one of my labb SharePoint 2013 Environments because it was so extremely slow all the time. Warmup scripts, reloads, more memory, more CPU, stopping services, stopping search…nothing helped. I had a constant loadtime of all aspx pages of 6+ seconds, 6.10-6.20 something. Even when the page was just loaded and I pressed F5 to reload, it still took 6.10 seconds. So, after looking for any solution or more like looking for the little issue that caused this all day, I gave up more or less. Then as often happens, we came to discuss the Distributed cache service, what it did and why it was there and so on…I had already had a look at it but could not find any reason why a default cache would give me this lousy performance. Then, I had a look at the timestamp in the F12 Developer dashbord – Network tab – Start capturing. I saw the home.aspx load and it took the usual 6.10 seconds. The timestamp could be found in the detailed view and on the response header. I memorized the timestamp (that was in GMT timezone) and opened up my ULS log. In the log at the exact time of the response header, I saw errors from the distributed cache. I decided that t-shooting the distributed cache would have to wait, it was getting late…but, before disconnecting the Lync call with Mattias, we decided to try and see just what would happen if I stopped the distributed cache service and loaded the page. Notice any difference? Now my SharePoint farm is Lightning fast!!! From 6.10 seconds down to 79 ms! Why is this so then you ask? No idea, something misconfigured or perhaps this is standard when using a single SharePoint server…anyway, today I don’t care. Stop the service and the performance is great! Hope this may help you as it did me! Now everyone seems comfortable with the sparse description on how to ‘add hosts to the list’ which is pretty much what you do when configuring the loopback check the ‘secure way’. You can also disable the loopbackcheck completely, but why if there is no real reason. Read Spencer Harbars excellent post on the topic if you need explaining why this is so. It is a few years but it is still the truth! 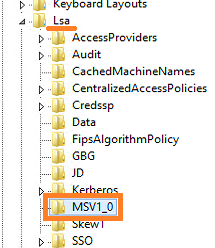 Now, create a Multi-String Value under the MSV1_0 key. Type in the name of the new Multi-String value: ‘BackConnectionHostNames’, Hit Enter. 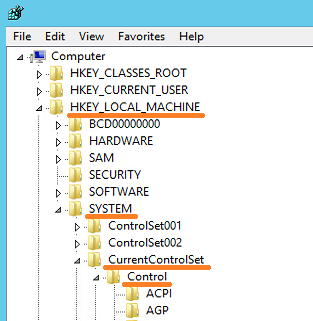 Right click on the value BackConnectionHostNames and coose Modify. Add the URL you want to be able to access from a local browser on the server. Don’t know why, but I seem to Always get this. Click Ok. Adding multiple URL’s to the list of ‘trusted’ URL’s, simply make a new line between them. That will look like this. To be extra sure that nothing else will sabotage functionality, check so that the URL’s are added to DNS. Check so that the URL’s are added as bindings in IIS. Verify that the URL’s are correct and are added to AAM. 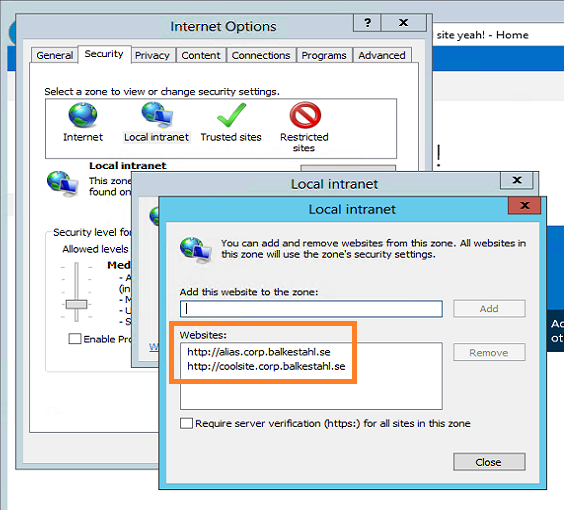 Make sure that the URL is added to the Local Intranet Zone in Internet Explorer (if you need to browse the site from the server, NOT RECOMMENDED!). Try to access the URL in a browser. Given that you have Everything setup correctly, your AAM’s, your DNS entrys, (URL added to local intranetsites zone in IE), and so forth…you can use this single PowerShell command to exclude the URL’s for your sites from the loopbackcheck, this way, you don’t have to disable the loopbackcheck at all (Way better security). The following command will add my two URL’s to the exclusion list, edit the values to add your own URL’s. This is how it will look if it succeeds! If you get ‘The property already exists.’, then you already have the ‘BackConnectionHostNames’ value added to the registry, check using registry editor to see if you can delete it or if it has other values that need to be there. 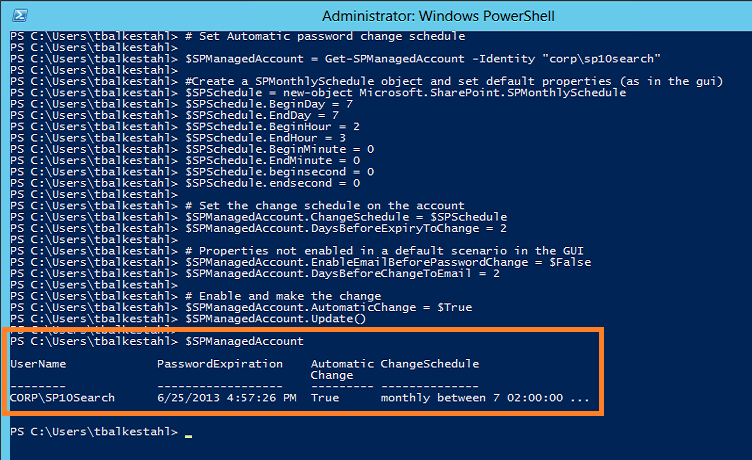 Now you have to restart the IISADMIN service in order for it to ‘reread’ the registry values and implement our Changes. 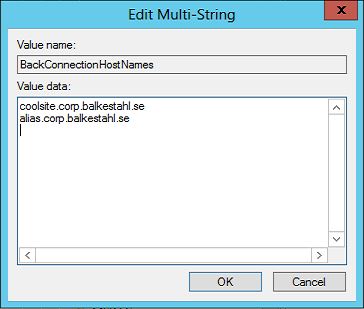 The command line in step 1 will add two (2) entries to the list, coolsite.corp.balkestahl.se and alias.corp.balkestahl.se. 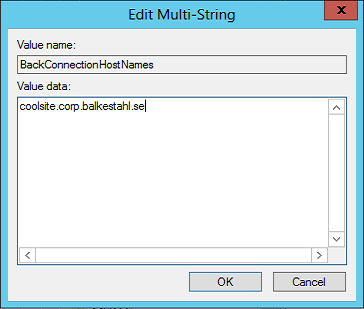 If you need to add more URL’s, add them to the Values, like: -Value (“coolsite.corp.balkestahl.se”, “alias.corp.balkestahl.se”, “mycoolnetbiosname”, “extraname.corp.balkestahl.se”). 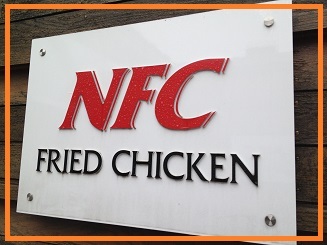 Make sure that the doublequotes are formated in the proper way if you copy from this post! As Always, Mattias Gutke! Now at CAG. Always a great help and second opinion!